Despite being a prominent feature through the town of Frome, the River Frome is suffering from a number of issues that are affecting the health of the river and the wildlife within and around it. Over the last few months a small partnership was formed to take advantage of some Environment Agency funding. The group included the Wild Trout Trust, Frome Angling Club, Frome Council, the Environment Agency, the Friends of Frome and BART. The group set about some river improvements in Rodden Meadow and held a successful Love Your River day at the Frome Canoe Club. More work is planned for the Summer. BART’s contribution is to try and raise further funds so that the good works do not stop once this project ceases. We want to set up further projects in the Frome area to build on this success, working with the original project team and any others we can interest along the way. Examples of what we want to achieve are shown below. Bart want to build on the work already completed by identifying similar areas where a programme of in-stream improvements using natural woody materials will provide valuable habitat to fish and invertebrates as well as greater flow diversity, with flows that will promote scour of the riverbed, cleaning substrates of silt. BART will begin to map and investigate pollution issues affecting the river and help train volunteers from the Friends of Frome and others to continue this valuable work. 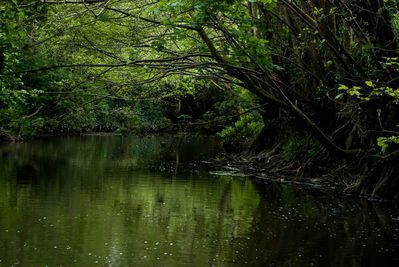 And most important of all we will be building the ongoing relationships with local community groups and landowners necessary to begin to tackle some of the issues which affect water quality and wildlife along the Somerset Frome and its tributaries. Local businesses will kindly be providing us with unique codes that each represent a donation to the ‘Fixing the Frome’ Project – all you have to do is go online to activate this and we will receive a donation at no cost to you! Tweet us or send us a facebook message (details below) and we will give you your code and let you know the kind local business who has sponsored your donation. We would also greatly appreciate it if you could share this project with anyone who may be interested!